This is the story of a day when an accident cascades into a movement. 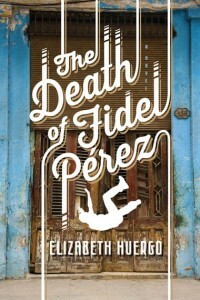 When Fidel Pérez and his brother fall from their balcony, the neighbors’ outcry — “Fidel has fallen!” — carries outward across the city. Fear and joy, sadness and celebration pass through the streets of Havana on a chorus of shouts, wails, and cheers. And a newborn anticipation fills the capital, a city that Huergo paints for us in sharp detail and with genuine affection.